Deb, you are great! Yesterday I received a parcel with a selection of different papers, and a copy of Oru Volume #4. 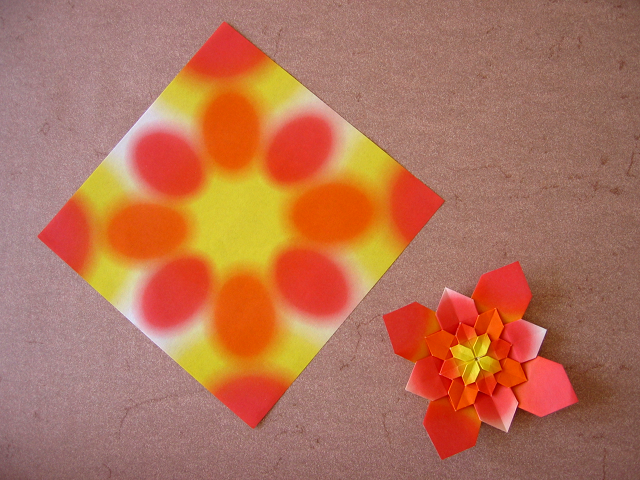 Amongst the paper were some 15cm squares of "dreamy colour origami", which Deb suggested I use to fold a 5-stage hydrangea. She said I might be pleasantly surprised, and indeed I was! The colouring on the paper results in layers that have different colours. Where might I find some Dreamy Paper? It looks very pretty and would like to have some. Thanks!